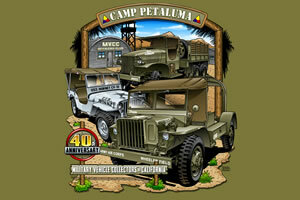 We're the Military Vehicle Collectors of California, the largest military vehicle collector club in the Western US. Come join us! Want to see what goes on at our events? You're in luck! Several of our members regularly take photos when we get together so click here to see what we do. From the Oregon border all the way South to the Tehachapi's, chances are we have an event going on near to you! Come join us! 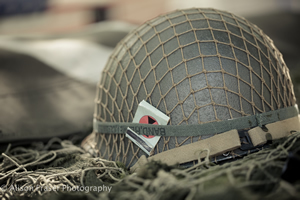 We are collectors and caretakers of all things military. We restore & collect these important artifacts to honor veterans, and preserve their legacy and history for future generations. Time to update your look? Can't be bothered with doing laundry? 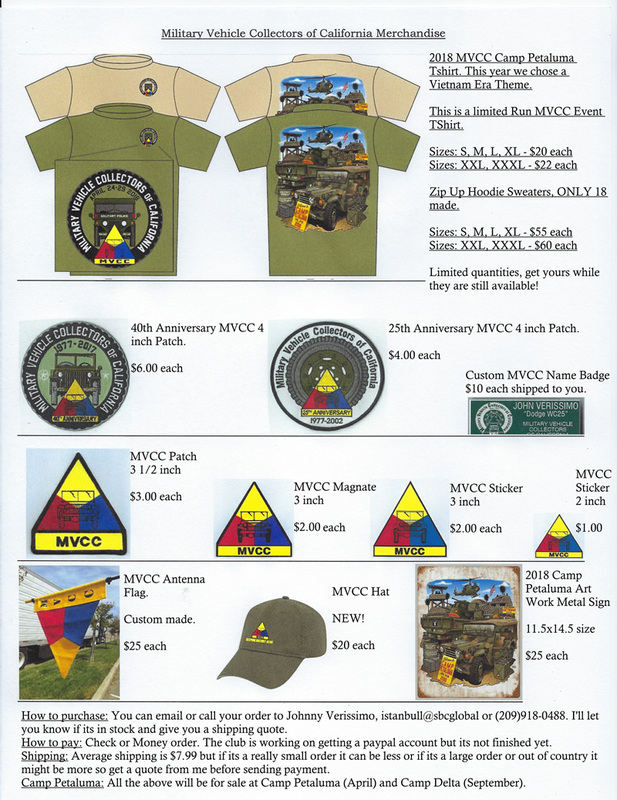 Or maybe you just want to be seen in the latest MVCC fashions. Click here for MVCC gear! 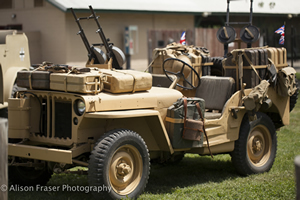 The MVCC is a non-profit organization of collectors and historians interested in the acquisition, restoration, preservation, operation, and public display of historic military vehicles, uniforms, equipment and accoutrements of all types, periods, and national origin. 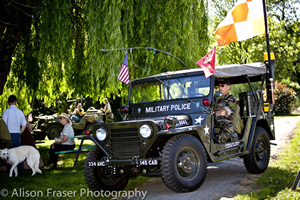 If you're interested in vintage military vehicles, come to one of our meets and join us! The MVCC Spring Meet at Camp Plymouth - New venue for 2019, but still the single largest MV gathering & swap meet in the West! MVCC News is the award winning official publication of the MVCC. Packed full of articles, after-action reports, photos, for sale ads, & exclusive "members only" content. CLICK HERE to view our back issue library.